Good Sight can only be found on cliffs and it takes courage and strength to scale it down. We believe working on a brand is not only providing creative layout and design; it also creates something that can drive people's emotion. Emotions can affect how consumers act, their behaviors and the way they like your products. Our team works with clients from strategy planning to result evaluations which aims to provide a full solution for every project. 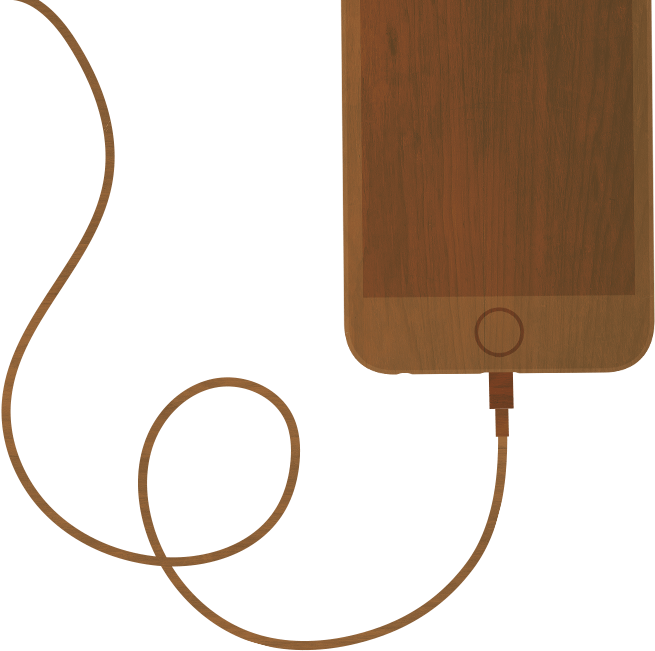 Our service covers Advertising Promotions, Brand Communications, Campaign handling and Apps development. With our teams of professionals, GoodSight provides high quality and supportive services. 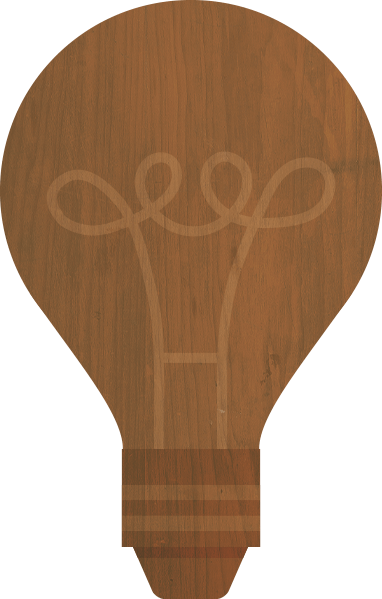 Visual communication and presentation are important in drawing attention to your clients. Weprovide services that not only enrich user friendliness of your website, but also the visual representation of ideas and message. Branding is far more important than what you expect, it is the only way to draw quality customers and maintain a positive image to public. We provide online strategy planning according to your needs. If you understand the beauty of user relationship on social media platform, you must trust the power of communication in Social networking. It is somewhere that can maximize your brand exposure with lowest cost. Direct communication is important. It is no doubt that eDM and SMS marketing is the simpliest way to connect with you customers.With GoodSight's own eDM and SMS blasting system, it is far more easier to create personalize campaigns and get in touch with your client. Platform or devices are never a limitation, Goodsight works on cross platforms and is able to manipulate our creativities to enhance the branding image. Our clients cover various industries, e.g. : Financial, educations, retails etc. Check here to view more of our projects. 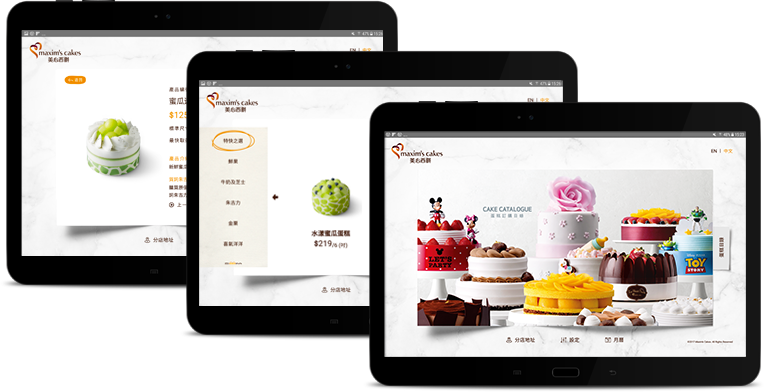 Maxim’s Group, one of the pioneering catering group at Hong Kong, a long list of prestigious food products has come to market under its renowned brand name. 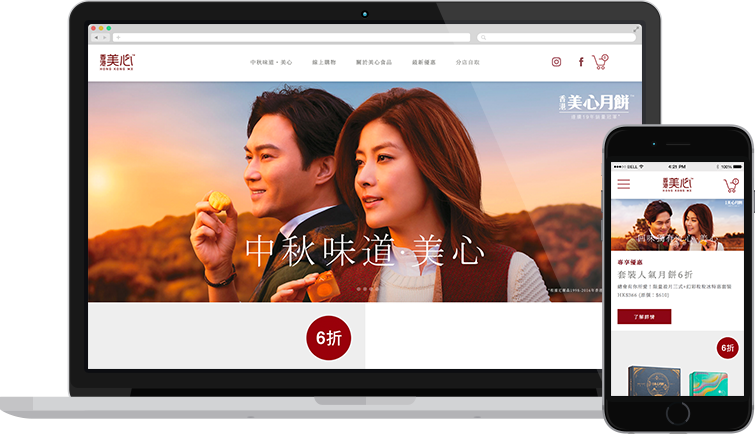 GoodSight has adopted an e-Commerce website design approach which helps streamlining the users’ visit journey, considering the clients’ business strategies at every step. Maxim’s Chinese Cuisine has more than 50 dining outlets all over Hong Kong, which have enjoyed a long reputation as the city’s top dining venues. 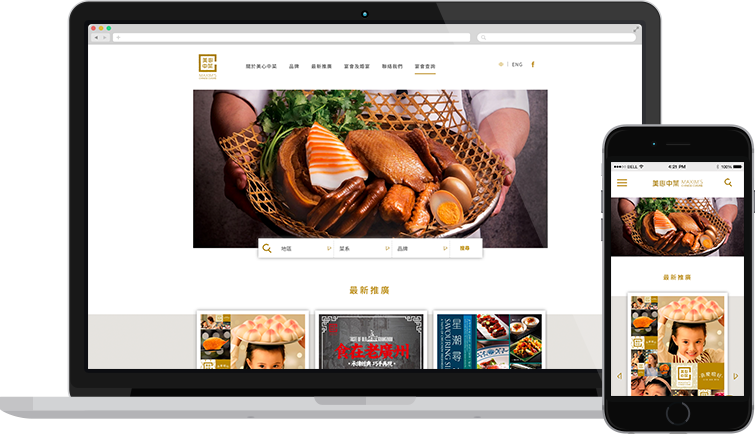 The website successfully reaches the targets for Maxim’s Chinese Cuisine and helps it to stand apart from their competitors. GoodSight has conceptualised this e-Catalogues design for Maxim’s Cake to align with its modern and futuristic brand image. We aim at remove as many steps as possible for better users’ experience and app’s functionality so that users can search for what they need with minimal effort. 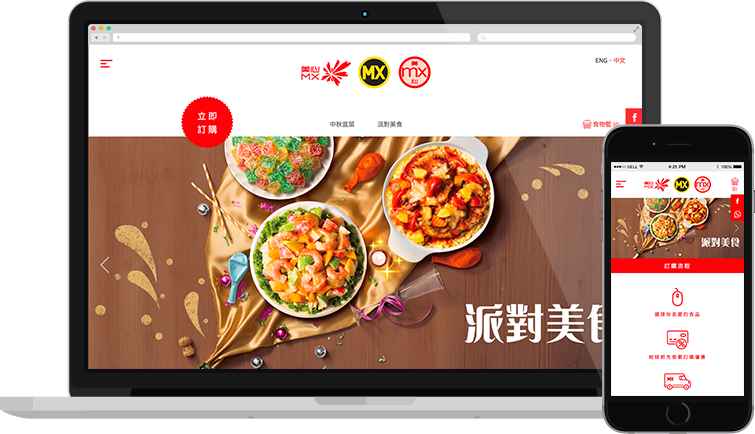 Maxim’s MX is one of the largest fast food catering business at Hong Kong, it has been creating a vibrant brand name well received by young patrons. This e-Commerce website designed by GoodSight is made to provide a platform for users to have online transactions. This website is supported by a comprehensive CMS with a great degree of customisation based on clients’ requirements. 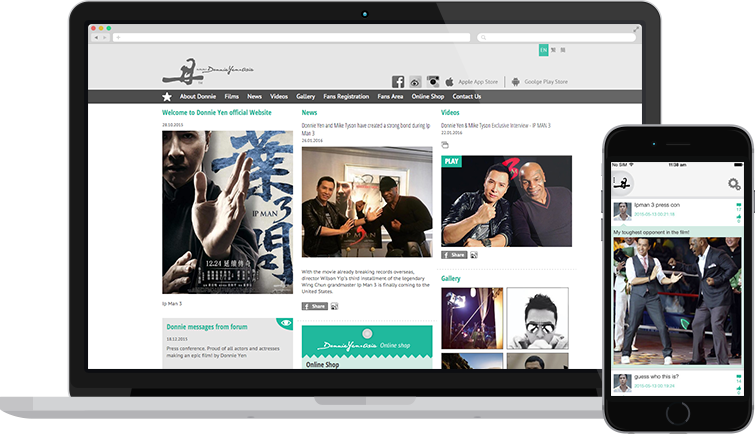 Goodsight helps Donnie to develop a Fans sharing platform to help our busy bee Kung Fu star to manage his official sharing on social media. This project is an excellent showcase for multi-platform sharing and social media integration. Foosils Talk is a retail store selling fossil, crystal and other special stones. It is located at the heart of Taipei and has a two floor showroom. This is an iPad e-Catalogue as well as a sales admin tool. 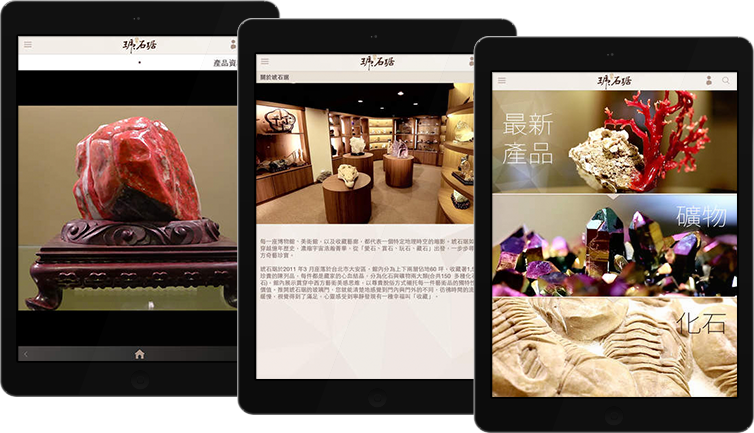 Staffs in Fossils Talk can be able to login to the App and update/ edit their customers' purchasing & visiting history. Po Leung Kuk HKTA Yuen Yuen Primary School is one of the most popular primary school in Tuen Mun Hong Kong. 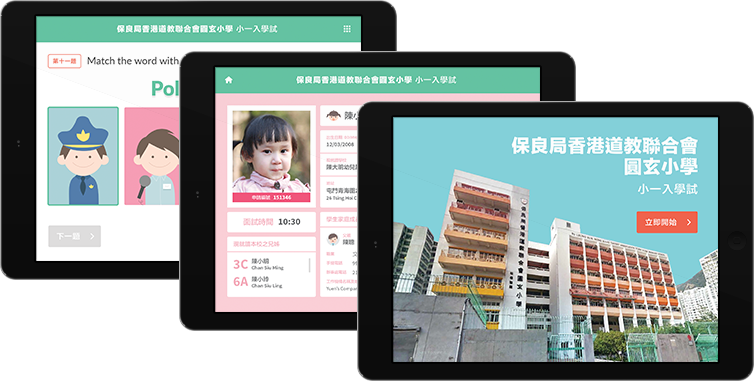 In order to serve the huge group of applications and admission in every academic year, Yuen Yuen Primary School decided to have an iPad App for the examinations and also interview markings. It is a close system that runs in Yuen Yuen primary school's intranet and it comes with a backend for performance analysis and result blasting. Offering a wide variety of services, Good Sight has always been a dependable partner of different companies over the years. © 2016 GoodSight.hk. All rights reserved.